I can’t believe it…. I didn’t wait another month to put up a post. It has been a week since the last post. Pinch me I think I am dreaming. Since the last week a few things have changed in our lives. We actually moved out of my parent’s home and into our own. We did leave quite a bit of things at my parent’s, but hopefully we will be able to get that all into our own house. If I don’t, I will be getting a call from my mom asking me why I still have things at their house. 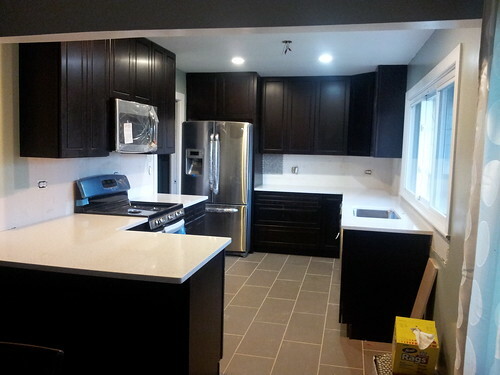 Back when we saw this house for the first time in February, I felt the kitchen lacked a lot of countertop space. So the first thing that came out of my mouth was that I wanted to put the sink where the window was. Of course everyone thought I was crazy. Maybe I am, but this is just something I wanted to do. Since no one really agreed with me we just moved on to looking at the rest of the house. Jimmy’s parents loved the house after we were done taking the tour. His dad said, “This is the house no matter what!” We all loved it. We knew it needed a lot of work, especially the kitchen. 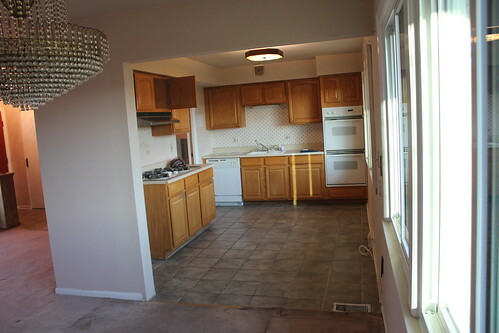 We did not want to move into the house without remodeling the kitchen. After we put the offer on the house we started to plan out what were going to do with the kitchen. Jimmy and I started to sketch-out ideas for the kitchen. Of course I was all for the idea about putting the sink in front of the window. Jimmy wanted to put an island instead. But eventually we agreed the “my idea” was the best. 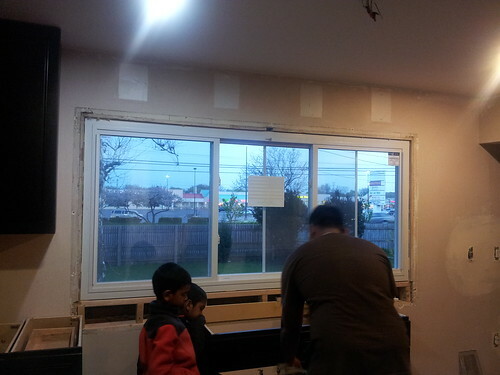 What do you think about the new window? I think it turned out pretty nice. Now I get to look out the window while I am doing the dishes. I can also see what the kids are doing in the backyard while I am in the kitchen. Then catch them off guard a few times when they are doing something they shouldn’t be doing. 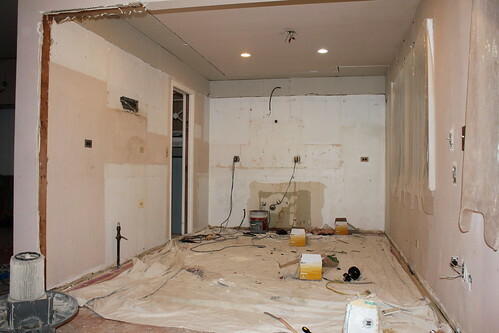 Now it looks like something has actually been done to the kitchen. 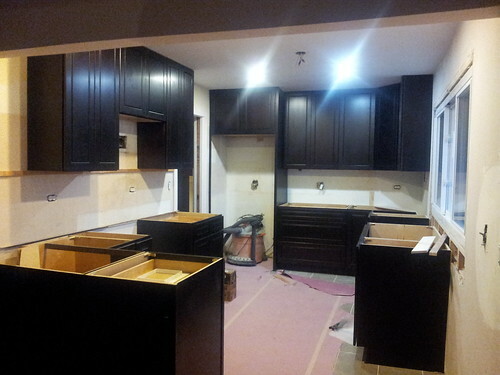 Once the kitchen was in place we called a couple of countertop installers to get quotes. 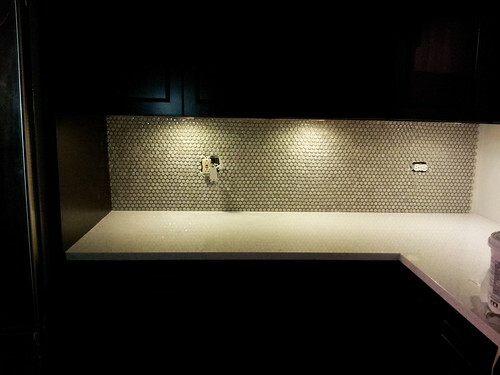 Jimmy and I made up our minds on what kind of countertops we wanted installed even before we started remodeling. It was pretty much a no brainer for us. We both loved Marble countertops, but it’s not very practical if you are actually using the kitchen to cook. Especially if you are Indian and cook Indian food. 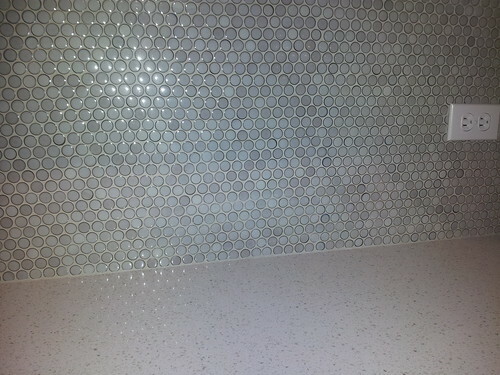 So the next best thing for us was Quartz. . There were still choices to be made. When we went to Home Depot, Lowes, Menards, and Ikea they had about 3 options of white. We both ended up liking the same countertop style. The guy we hired did a great job. They even came and installed it a day early. 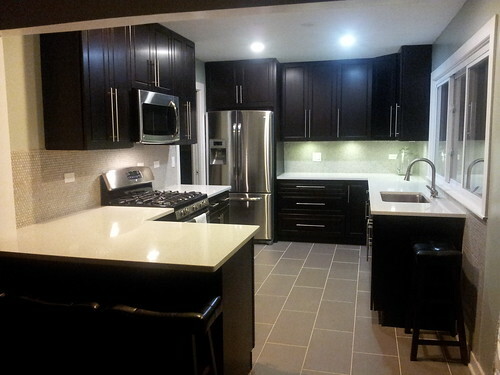 Here is a picture of the whole kitchen completely renovated! We are really happy at the way it turned out. I don’t think we would change anything…. EXCEPT…. just kidding. Nothing. We won’t change a thing! Please let us know what you guys think. Is there something you would have done differently? We would love to hear your opinions. Its looks wonderful Wincy! That’s awesome how you did it all yourselves and found the best deals. 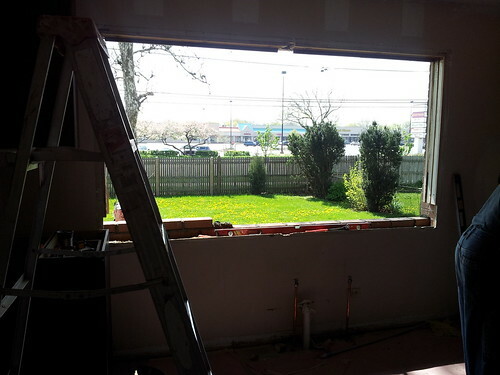 Can’t wait to see the new house! Thanks, Mohan!! Don’t need an invite, but Jimmy and I will try to plan a party soon!